I have a super simple card for you today!! 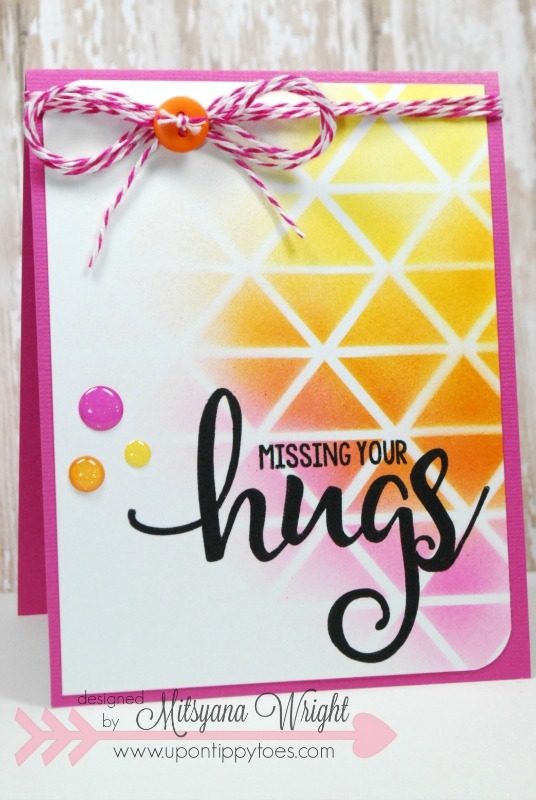 And this card is my newest favorite!! 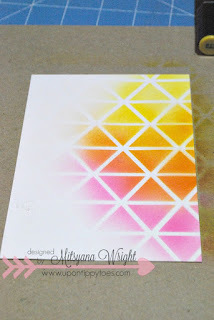 I am using one of the newest stamp sets from Pink and Main. It will be part of a HUGE release for the month of January! 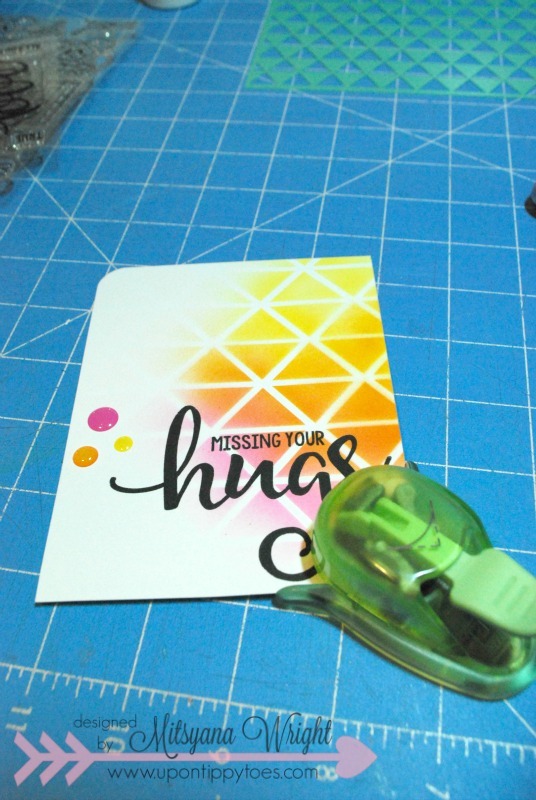 This stamp set is called "Hugs Needed". 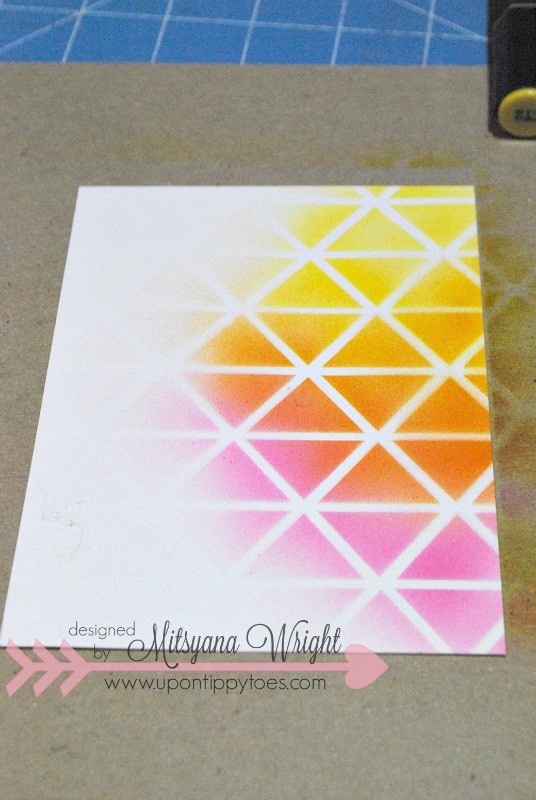 This and other amazing stamp sets will be available for purchase on January 10th!! 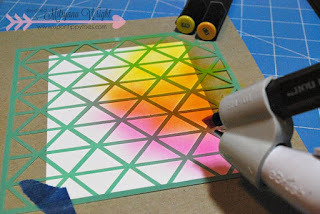 For my background I used a Heidi Swapp stencil and my eBrush machine and Spectrum Noir markers PP4, OR1, and CT2 to airbrush this awesome geometric pattern onto plain white cardstock. Then with a VersaFine Onyx Black in pad I stamped "hugs" from the new Hugs Needed set. 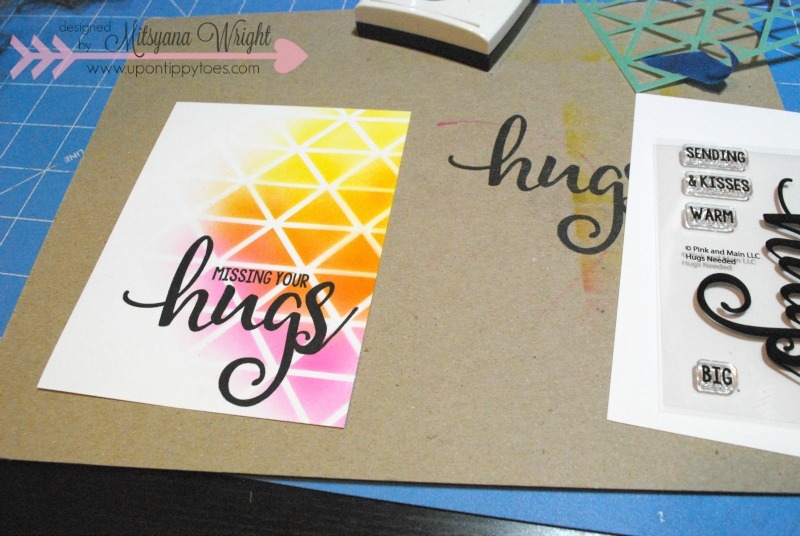 Then I repeated that process and stamped the "missing your" stamp above "hugs". I rounded 2 corners with my EK Success corner punch. 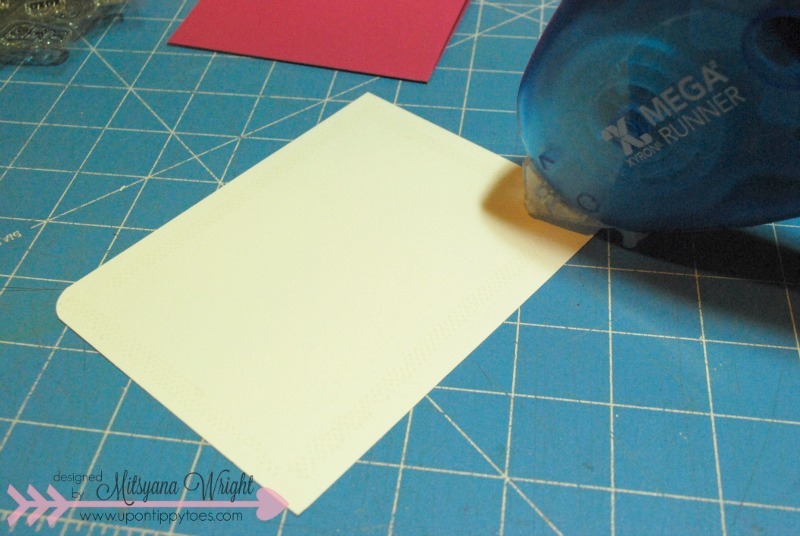 And used my Xyron Mega Runner to adhere to my card base. 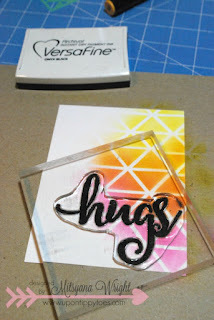 Then added these super cute glittered enamel dots, by Doodlebug, that coordinated with my background. I tied pink and white twine topped with an orange button to finish it off. 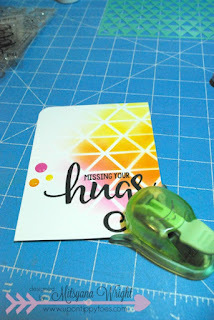 And here is my final card!! 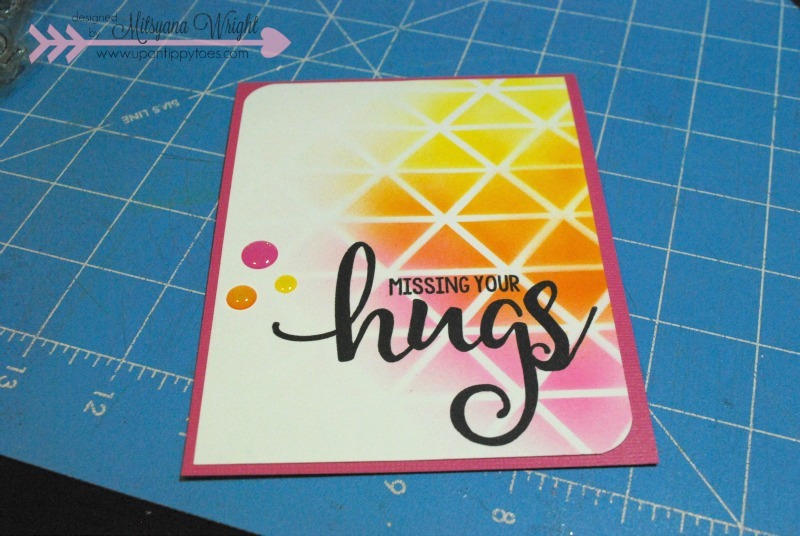 LOVE LOVE LOVE how this card turned out!! 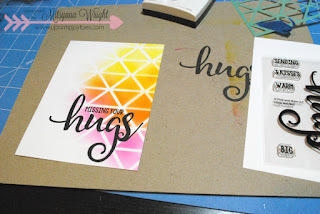 I usually don't do clean and simple (CAS) style cards but I am really digging these results! 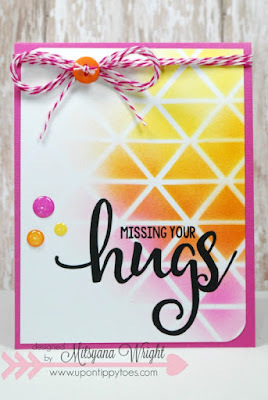 I can see a lot more cards like this in my near future!! This is so beautiful! I love the colors. Your ebrush rocked the stencil and your sentiment from Pink and Main too. PERFECTION at its finest for sure!